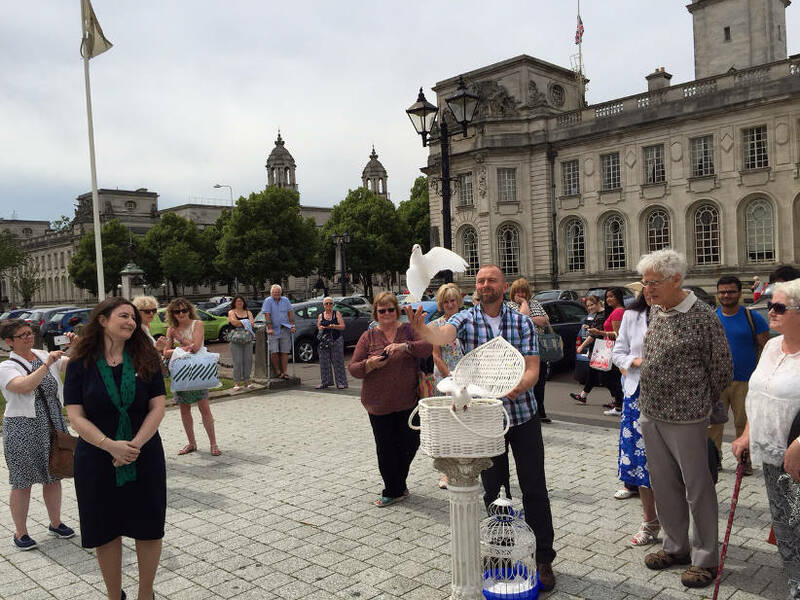 As bright sunshine blanketed the UK on July 3, 2015, asbestos victims support groups around the country highlighted the consequences of a silent epidemic which is taking up to 5,000 lives every year. During the 21st century, tens of thousands of people have died from mesothelioma, one type of asbestos cancer; unfortunately, the UK has the highest age-adjusted mesothelioma mortality in the world. 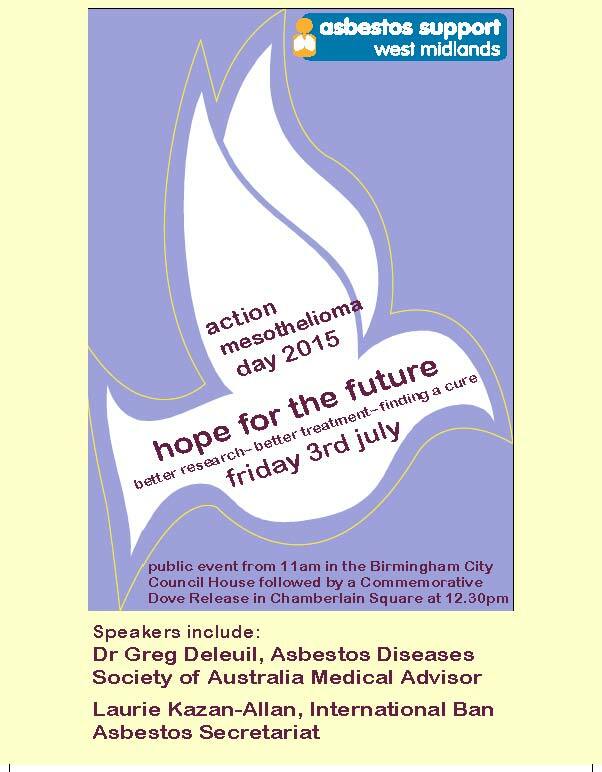 People representing the asbestos dead took part in public rallies, conferences, information sessions and memorial services on July 3  Action Mesothelioma Day  to make manifest the nationwide scale of the countrys asbestos catastrophe. Exposure to asbestos has caused the UKs worst occupational disease epidemic; the same is true for Australia, which has the worlds second highest mesothelioma mortality. It was therefore fitting that the keynote speaker of the day was Dr. Gregory Deleuil, a general practitioner who has, over his 40+ year medical career, treated thousands of mesothelioma patients in Western Australia. With his Australian twang and affable manner, Dr. Deleuil discussed his personal involvement with asbestos. It all began on Christmas Eve 1974, when Cyclone Tracy wiped out his home town of Darwin, in Australias Northern Territory. In the aftermath of the storm, 40,000+ people were forced to relocate; they included the doctor and his family who moved to Perth, the capital of Western Australia. By happenstance, the location of Dr. Deleuils new surgery in Perth, his specialist lung testing equipment and knowledge of diving medicine brought him to the attention of Robert Vojakovic, the President of the Asbestos Diseases Society of Australia (ADSA). The rest, as they say, is history. It was astounding to hear of the pioneering role taken by the Australian Government in devising, implementing and supporting a targeted medical research strategy for finding new treatments and possible cures for asbestos-related diseases. While successive UK governments have watched the death toll mount, the Australian authorities set up a National Center for Asbestos-Related Diseases and an Asbestos Safety and Eradication Agency both of which work collaboratively with stakeholders to develop solutions to minimize and eventually eliminate the threat posed by asbestos. They made the dust and carved the boarding from the killer stone. 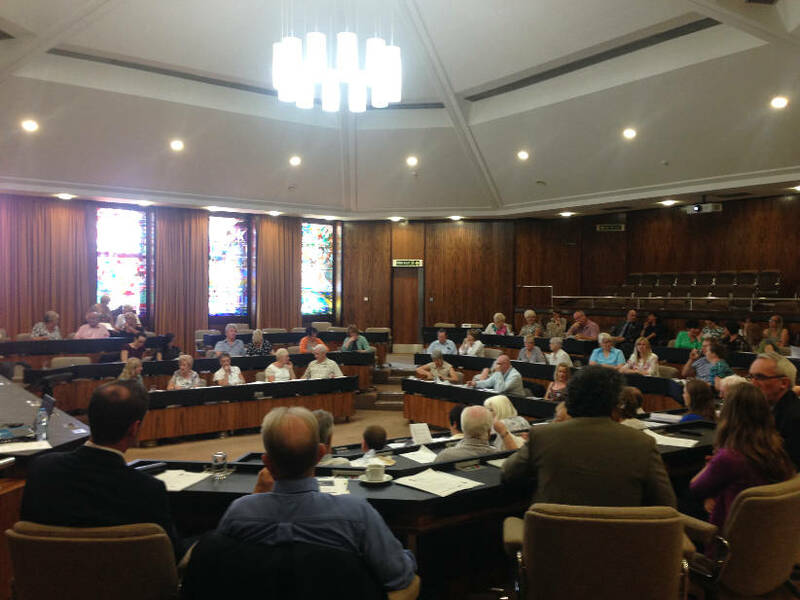 Following the prayer and reflection by the Reverend Peter Skellick, the next speaker Laurie Kazan-Allen addressed the subject: Mesothelioma: Hope for the Future? Although there was not yet a magic bullet to cure mesothelioma, there were definitely green shoots of hope that can be observed dotting the global mesothelioma landscape. These consisted of improvements in controlling symptoms, research being progressed on targeted therapies and immunotherapy and the holding in 2016 of the International Mesothelioma Interest Group biennial meeting in Birmingham! 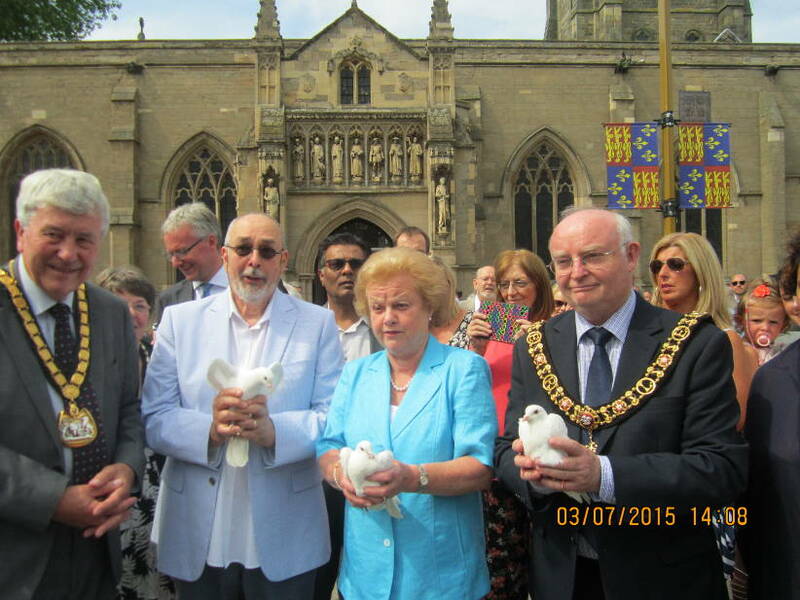 Upon the conclusion of the indoor program, participants adjourned to Chamberlain Square for the dove release and the opportunity to show solidarity with asbestos victims in other countries. In Liverpool, the days program had also been tailored to focus on Hope for the Future. 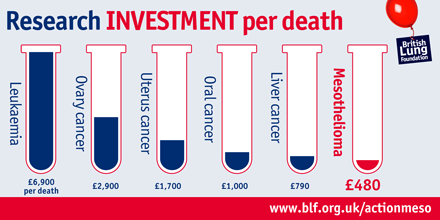 Dr. Helen Clayson shocked participants when she showed a graph illustrating the paucity of UK funding which had been provided for mesothelioma research. 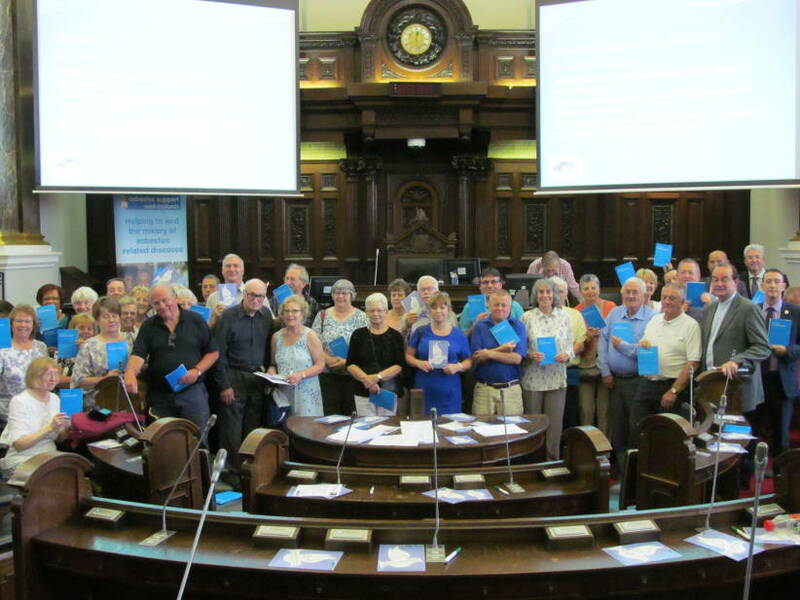 Liverpool: Merseyside Asbestos Victims Support Group. 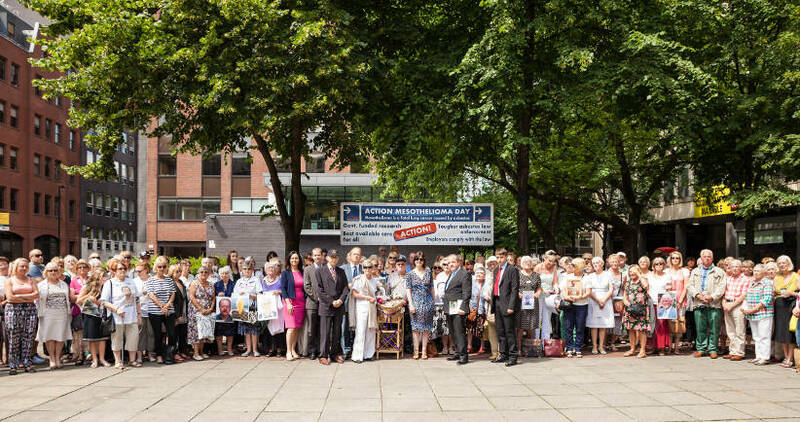 Manchester: Greater Manchester Asbestos Victims Support Group (Enlarge image). 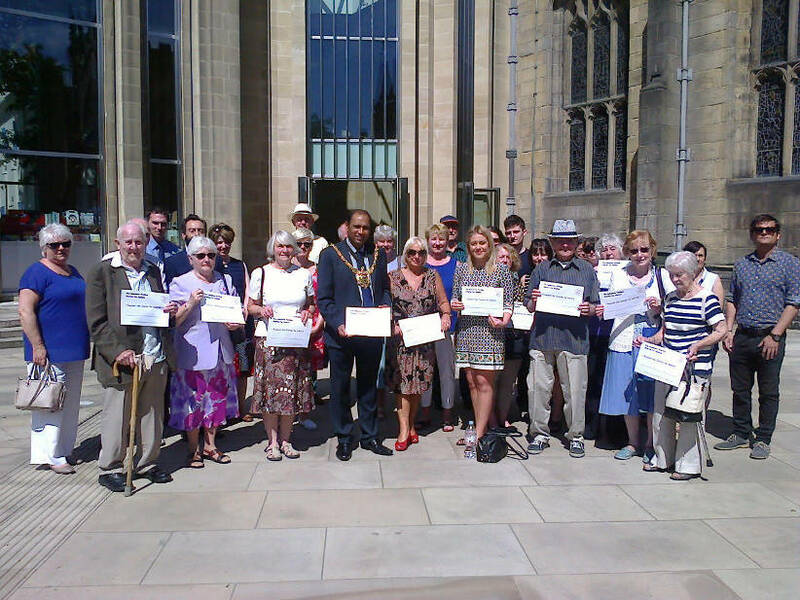 Sheffield: Sheffield and Rotherham Asbestos Group. 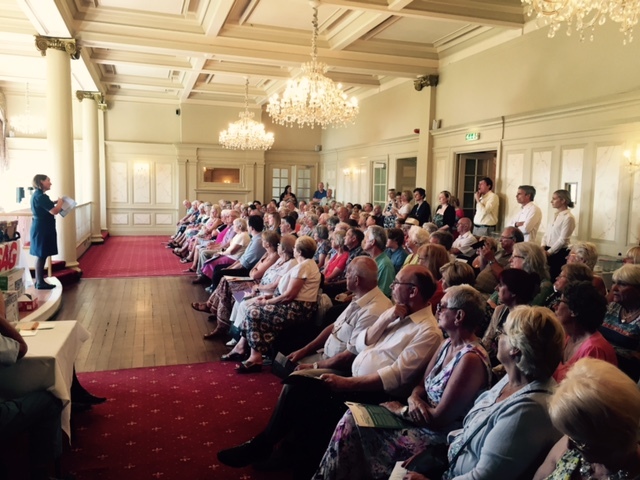 Portsmouth: Hampshire Asbestos Support & Awareness Group. Leeds: June Hancock Mesothelioma Research Fund, Mesothelioma Support Yorkshire and Mesothelioma and Related Concerns (Enlarge image). 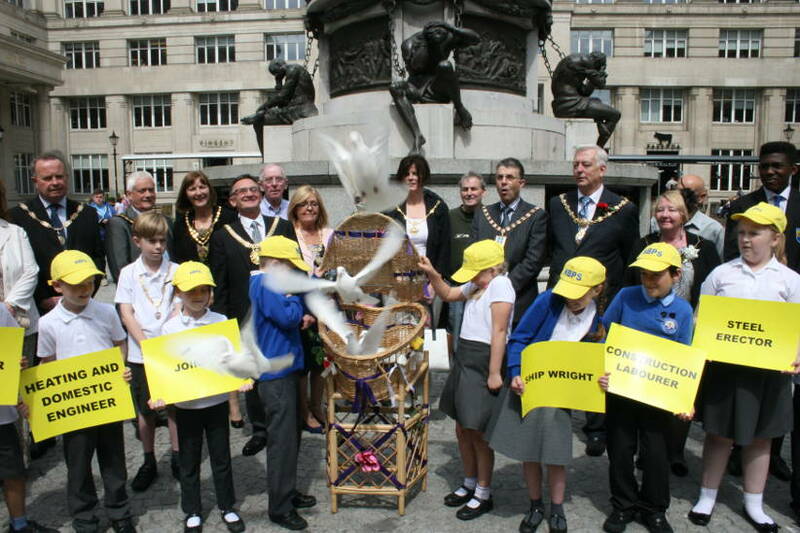 Newcastle: Mick Knighton Mesothelioma Research Fund and Gateshead Councillors (Enlarge image). 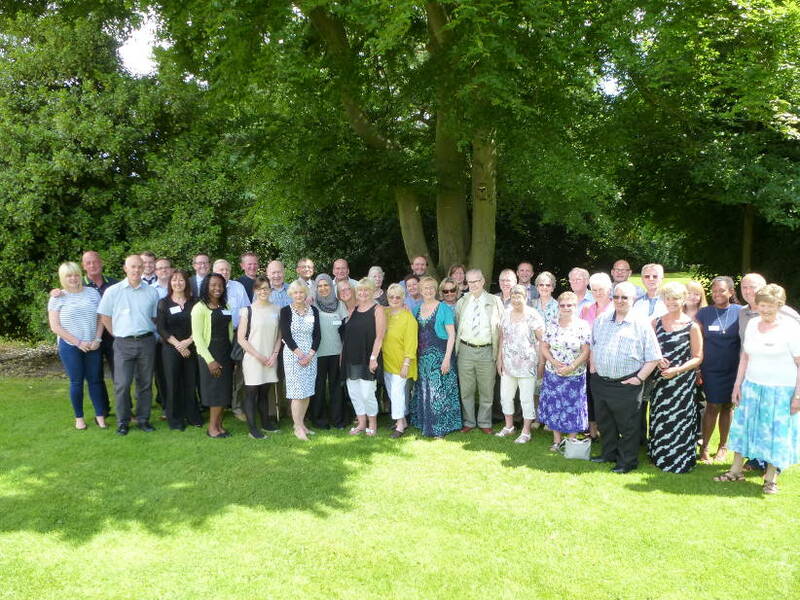 Leicester: Mesothelioma UK and Derbyshire Asbestos Support Team. Cardiff: Asbestos Awareness Support Cymru. AMD2015 was the tenth national mesothelioma day. As the epidemic continues, it looks likely there will be many more such days before a cure for this deadly disease has been found.